Blog resources are everywhere and the Genius Blogger’s Toolkit is one of the most promoted and visible. Is it worth it? I’m giving a brutally honest review. 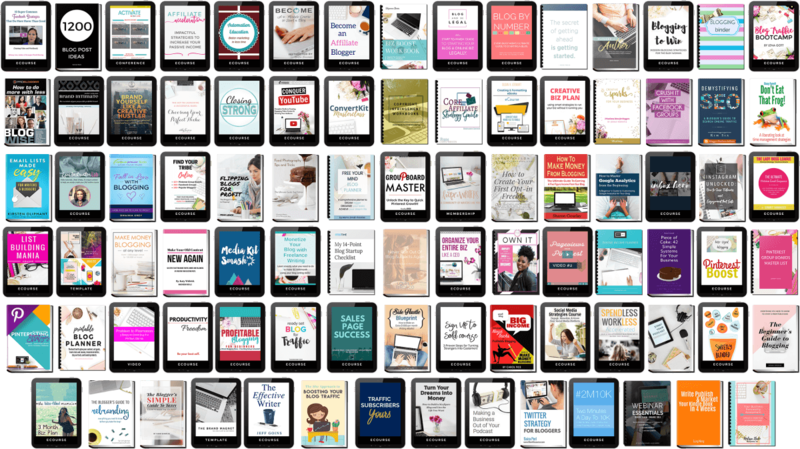 The toolkit is a collection of resources to help bloggers accomplish goals in various areas: monetizing, creating products, productivity, building newsletter lists, and other areas related to blogging. Why all the hype? It’s nearly 100 items (books, courses, guides, checklists, etc.) “worth” nearly $6,000. 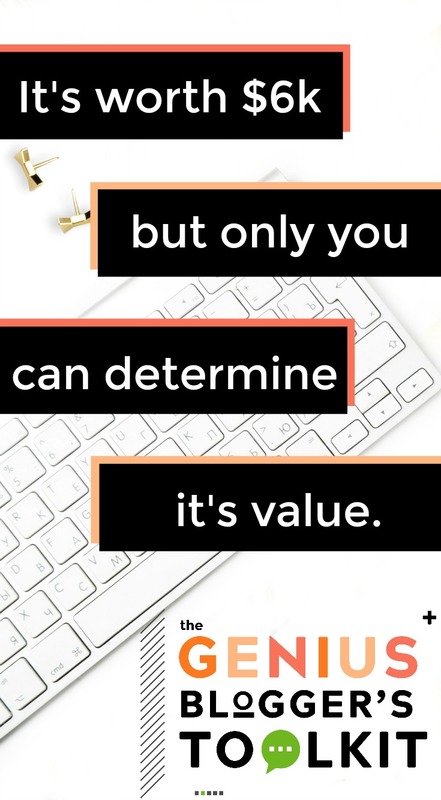 BUT I really believe the value is only what it does to move you forward to your goals. Another reason people overuse countdown timers and exclamation points during the week of the Genius Blogger’s Toolkit offering is that we get a commission if we sell it. This post contains an affiliate link to the Genius Blogger’s Toolkit which I purchased myself. If you click on my link, I will receive a commission. Friends, this year I have chosen not to review the Genius Blogger’s Toolkit. With conferences, vacations, and family commitments, it was not feasible to review all of the resources within. 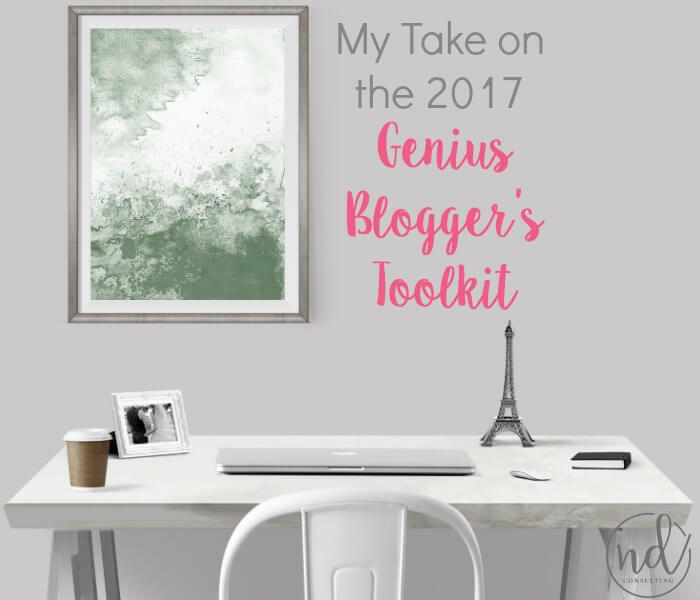 Do I Think the Genius Blogger’s Toolkit is Worth It? Overall, the answer is yes, I do believe it’s worth it. Most of the resources aren’t just opt-in or content upgrade fodder. I recommend looking at your goals, looking through the offerings, and making a decision. There are some underwhelming additions to the kit (obvious opt-in level content), but there are gems. See the summary below with what I’m using myself or recommending to clients (so far). There are always obvious standouts and I believe this year is no exception. I’ve followed some of the contributors for years, so I know the quality of their products. The contents are laid out by topic, making it easy for bloggers to actually work on the tools which will help them with their immediate goals. And because it’s available for a year (lifetime if you download), depending on goals, the resources will continue to help. It is curated, however, sometimes it can not be as selective as I would like. Over the past three years, obvious “free” opt-ins have made it into the kit and that just makes me mad, to be honest. I know the Ultimate Bundles team really tried to limit that in 2018, so I’m looking forward to reviewing it. This is for you if: you have clearly identified your goals, have gone over the offerings, and can see IMMEDIATE value. This is Q4, friends – this is not the time to meander about. This is NOT for you if: you can’t keep your head above water right now. If you don’t have your goals identified, that’s where I would focus. Get some clarity in your blogging goals before taking on anything. I’ll help you do that for free with a call. Thanks for the review. 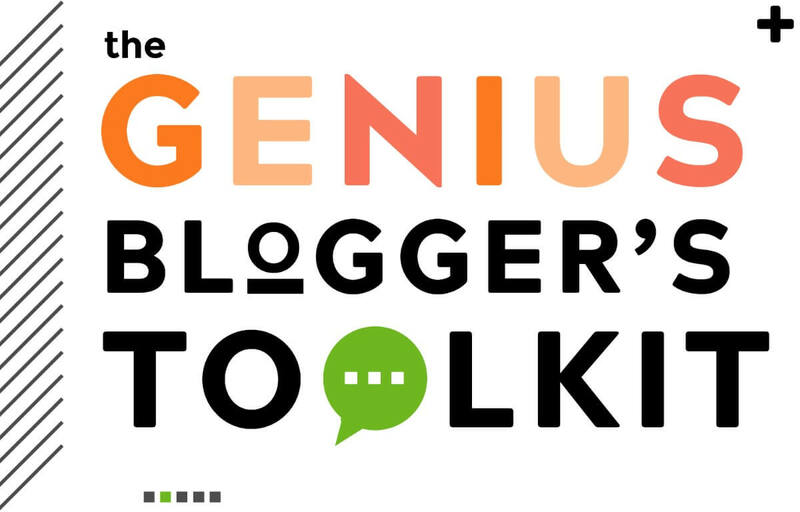 You convinced me to get the genius blogger’s toolkit, yay! Which email can I send a screenshot of the invoice to, so I can redeem my freebie from you? Congrats on picking up the toolkit! 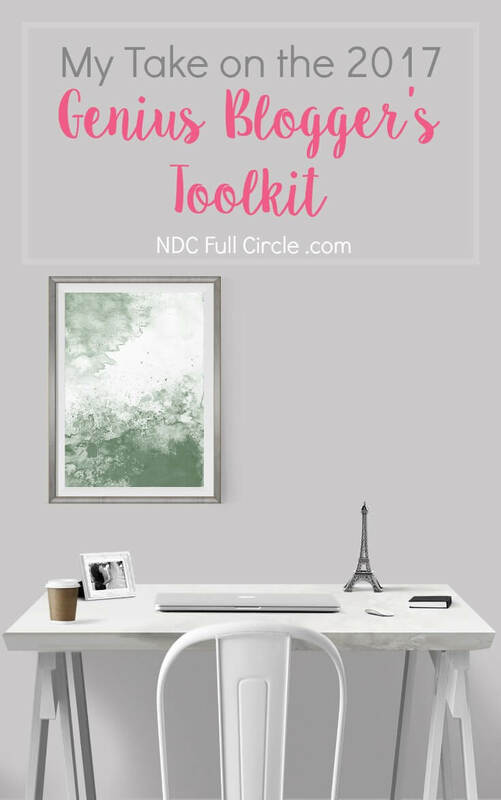 My email is Sarah @ NDCFullCircle .com – I’ll email you now. I bought the toolkit and love it! Thanks for giving us an honest review. Hey, I’m close to launching a new product (subscription newsletter) with a linked blog. The newsletter is the bit I am planning to monetize. Would this be useful for me? The launch section would be the most useful, Sally, so I would focus on checking out that section. I am impressed with the Sales Page Success training to set up your landing page to direct potential leads. Additionally, there are a few launch sequences you could use to model your own (Summer Tanhauser and sign up to sold being the two I’d focus on). I have an affiliate account with Ultimate Bundles, but I am not promoting this package. I am trying to decide if I want to buy it at the affiliate price. It does seem like there are some good offerings this year. I appreciate the honest review. I’m on restriction from buying stuff right now but I will definitely look for this the next time it rolls around.